Whether you are after a quick, reviving cup of coffee during a busy day or you'd like to bring the family along for a three-course meal, Edelweiss is the ideal place to come. 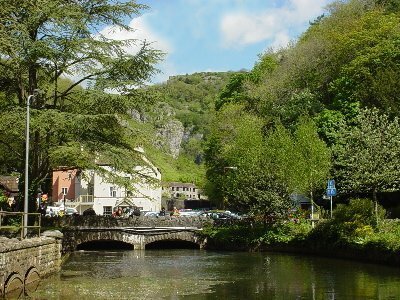 Located in a picturesque spot at the foot of Cheddar Gorge right alongside the River Yeo, we offer a varied menu full of traditional English favourites with something to appeal to everyone. Serving delicious home-cooked meals, fresh espresso coffees and morning & afternoon teas everyday, Edelweiss is well-known for its friendly service and its freshly prepared food & locally sourced produce. 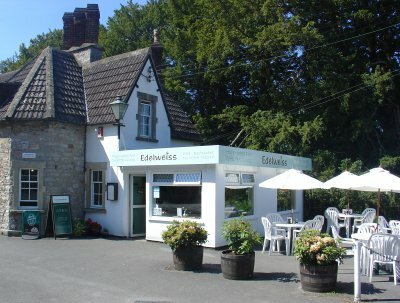 Roasts are a speciality at Edelweiss along with traditional home-made favourites such as Faggots, Sausages, Steak & Kidney Pie, seasonal Fruit Crumbles & Pies, & Syrup-Sponge Pudding. Light bites include homemade Soups and a range of made-to-order Sandwiches & Panini, with Take-Away available on light bites and sweet treats. For anyone fancying a drink with their meal we have premium beers, local cider, good wine and long mixed spirits available. We have a full range of fresh bean espresso coffees and pots of tea, along with fresh baked cakes, chocolate fudge brownies, muffins and Cream Teas amongst the offerings.